New records online and up-to-the-moment emails with questions, tips and inspiring successes. AUSTRALIA CIVIL REGISTRATIONS. A new browse-only collection of Tasmanian civil registrations (1839-1938) is now online at FamilySearch.org. It includes district registers, counterfoils of marriage certificates and some church records. ENGLAND PARISH AND ELECTORAL. Significantly-updated indexes of Kent parish registers and registers of electors (both dating to the 1500s!) are now online at FamilySearch, as Lancashire parish records to 1538 and another collection of parish registers back to 1603 that include Lancashire, Cheshire and Yorkshire. ITALY CIVIL REGISTRATIONS: More indexed images continue to be added regularly to the free collection at FamilySearch.org! Click here for the current list. PHILIPPINES (MANILA) CIVIL REGISTRATIONS: More than 400,000 indexed records for the city of Manila have been added to an existing collection of Philippines civil registrations at FamilySearch.org. WALES ELECTORAL REGISTERS. Over 1.6 million indexed names from electoral registers for Glamorgan and West Glamorgan, Wales (1839-1935) are now searchable at FamilySearch.org. BRITISH IN INDIA. 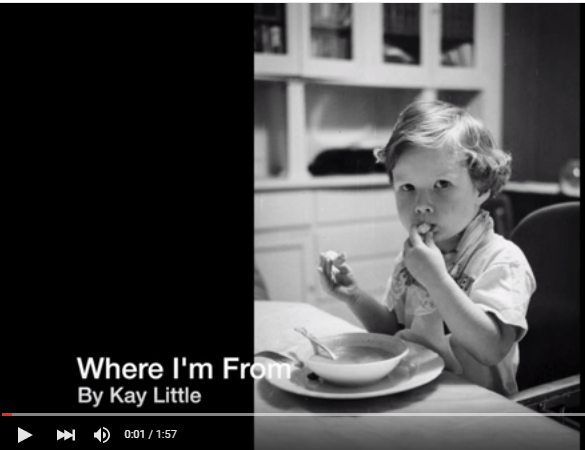 Findmypast has published new record collections relating to British overseas travelers, workers and expatriates. The first includes “British people who either lived, worked or travelled in India from as early as 1664 up to 1961 with an index of births, marriages, divorces and deaths compiled by the Society of Genealogists.” There are also new collections from the India Office: births and baptisms and wills and probates. DIGITAL BOOKS. A new FREE collection of 150,000 digitized books is searchable at MyHeritage.com. Among the titles are family, local and military histories; city and county directories; school and university yearbooks and church and congregational minutes. If you’ve been to my booth at a major conference in the past few years, you already know about the “Outside the Box” mini-sessions I’ve presented along with some of my partners in the past. These sessions have been SO popular that people end up lining the walkways around our booth, several deep, crowding the exhibit hall aisles in to listen and sign up for the free handouts. 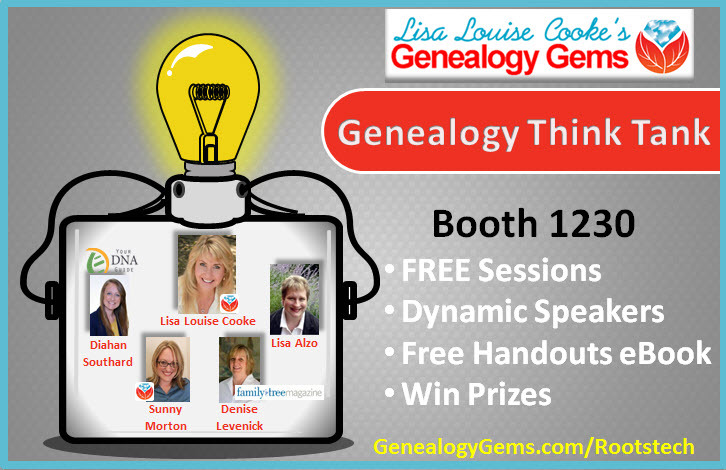 This year, I’m planning an even richer class experience at the Genealogy Gems booth. 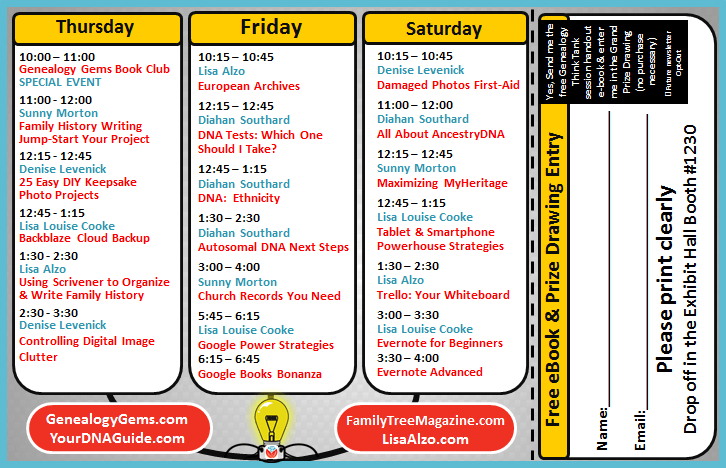 There will be 20 sessions, some of them shorter and some longer, taught by myself and my dynamic partners at Genealogy Gems and Family Tree Magazine. I have quadrupled the size of our booth so we can invite many more of you to come in, have a seat and hear these sessions in comfort, without having to stand in the aisles. Remember, if you register for RootsTech before January 18, you’ll save a LOT on registration (you’ll pay $169 instead of $249 for the full 4-day event). Come by and say hello at our booth! Winners: Everyone who entered will receive a year of Genealogy Gems Premium Website Membership! In this episode you’ll hear Beverly Field’s wonderful poem, and you’ll hear from more winners in coming episodes. Sue’s email: she decided to use RootsMagic family history software and, following my suggestion, signed up for Backblaze cloud-based backup service. Click here to read about specials for Family Tree Maker users and what I do with my master family tree. Click here for more Family Tree Maker questions and a couple of bonus questions about keeping Ancestry.com subscriptions or transferring to MyHeritage, which does offer free desktop family history software that syncs with its online trees. The Genealogist’s Google Toolbox is available through the store on my website at www.genealogygems.com. Robert from Covington, LA wrote in with this excellent question! Here’s the full question and an accompanying image: “We have a copy of our great great grandfather's Warrant from the War of 1812. This has never been redeemed. I expect that the time for redeeming has long since expired but can't find confirmation of this anywhere. 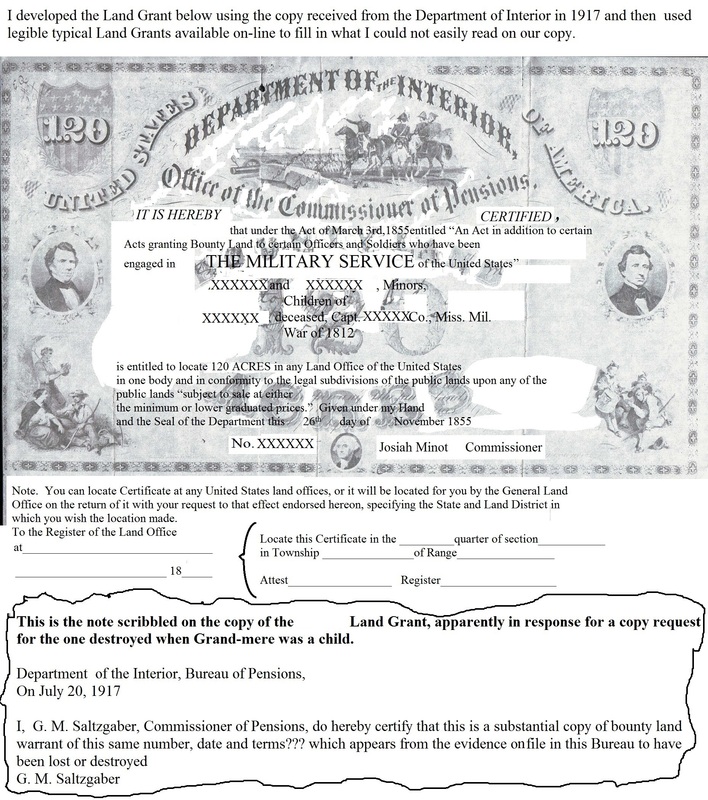 I have an affidavit from my grandmother dated 1911 stating the grant was lost or destroyed when she was a little girl being raised by her grandmother, the widow of one of the two brothers listed on the certificate. Her husband, one of those two, died before 1850 and therefore his will has no mention of the Land Grant. The certificate I have is a copy of a re-issue by the Commissioner of Pensions dated 1917. From the wording on the note the Commissioner scribbled on the copy he sent, it appears he hand copied the information on file onto a blank certificate and certified the copy. I have attached a copy of the certificate we have (above) and a copy of what I have been able to fill in for what is not too legible (below). I have blanked out the family names and certificate number since it is not clear to me if it is or is not redeemable and I don’t have any control where this information may end up once committed to the internet. 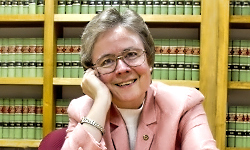 Listen to the podcast to hear Judy’s advice about researching laws or statutes relating to our genealogy questions—and to hear how she answered this fantastic question. 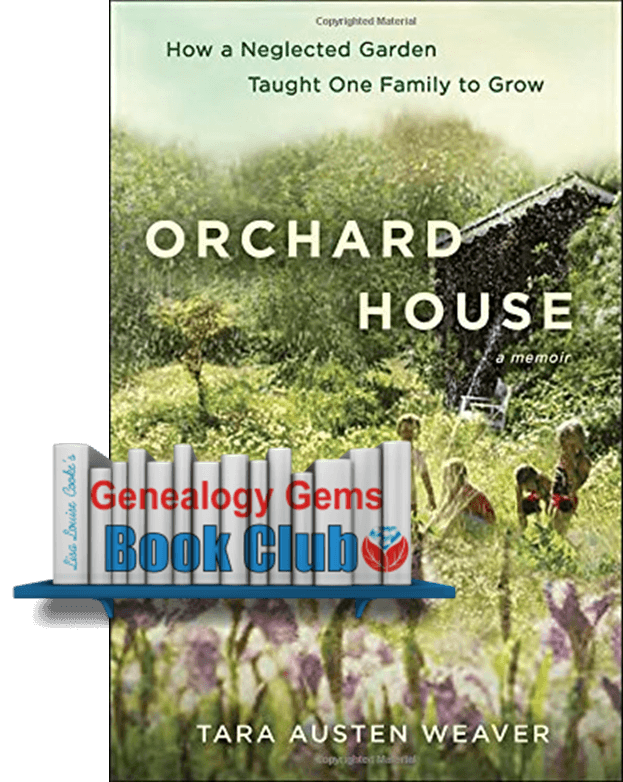 Genealogy Gems Book Club: A New Book! “Peeling paint, stained floors, vine-covered windows, a neglected and wild garden—Tara can’t get the Seattle real estate listing out of her head. Any sane person would see the abandoned property for what it was: a ramshackle half-acre filled with dead grass, blackberry vines, and trouble. But Tara sees potential and promise—not only for the edible bounty the garden could yield for her family, but for the personal renewal she and her mother might reap along the way. So begins Orchard House, a story of rehabilitation and cultivation—of land and soul. Through bleak winters, springs that sputter with rain and cold, golden days of summer, and autumns full of apples, pears, and pumpkins, this evocative memoir recounts the Weavers’ trials and triumphs, what grew and what didn’t, the obstacles overcome and the lessons learned. Inexorably, as mother and daughter tend this wild patch and the fruits of their labor begin to flourish, green shoots of hope emerge from the darkness of their past. In March, we’ll play an excerpt from an exclusive interview with Tara Austen Weaver in this podcast. Genealogy Gems Premium website members will be able to listen to the full interview in March’s Genealogy Gems Premium podcast. 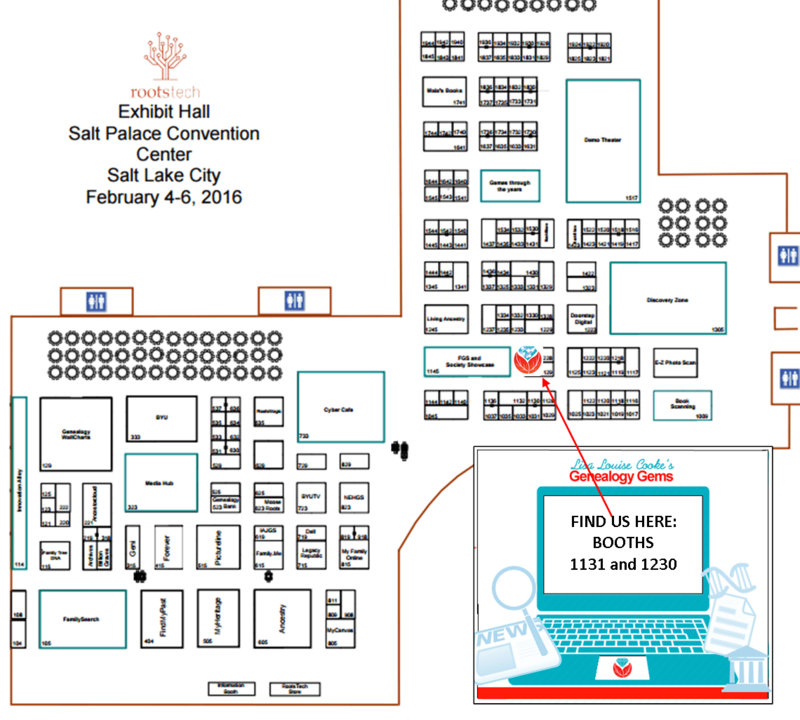 RootsTech Book Club Open House: Thurs, Feb 4, 10am-11am at the Genealogy Gems booth #1230 in the Exhibitor Hall. Stop by and chat about books or family history or both! Free bookmarks, display copies of featured titles a win chance to win a great Book Club prize just for suggesting a book.